Gregg's Homes - Modular & Manufactured Homes - NOW SHOWING - HOMES AVAILABLE FOR IMMEDIATE DELIVERY!!! NOW SHOWING - HOMES AVAILABLE FOR IMMEDIATE DELIVERY!!! Commercial Modular Offices and Apartment Buildings by Nashua Builders. Prefab warehouse buildings, modular motel, hotel, and lodging units prefabricated in half the time﻿. 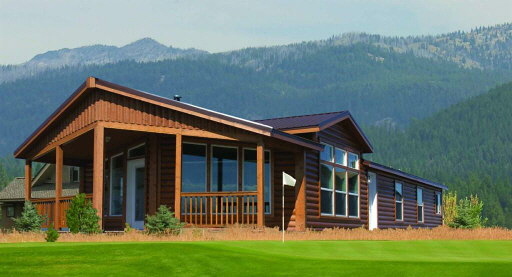 With so many manufacturers to choose from, we can assure you that we will be able to find your ideal Manufactured or Modular home to place on your lot in Montana, North Dakota, Idaho or Wyoming. Gregg's Homes offers Commercial Structures, Manufactured and Modular homes that are built to the very highest quality. Manufactured and Modular homes and Commercial Structures, provide you the highest energy efficiency, with all our manufacturers offering Energy Star compliance. Click any of the links above to view the manufacturer's websites and start viewing available floor plans. Any floor plan can be built as either a Manufactured Home or a Modular Home. To view available lot models click HERE! Visit our 2 Manufactured and Modular Home Centers. At Gregg's Homes, our New Home Consultants, will guide you through every step in the process of making ownership of your new Manufactured or Modular home or Commercial Unit a reality. For Land/Home Financing, (click here for preapproval with Country Place) ,to assisting in finding a lot and every aspect of the design of your new home, our Home Consultants will guide you through each step. For home only financing, click here for preapproval with 21st Mortgage. Our office is convenienty open 7 days per week! Copyright 2010 Gregg's Homes - Modular & Manufactured Homes. All rights reserved.